The claim comes from the sometimes-reliable DigiTimes, which cited its usual industry sources from the Far East in a report issued on Thursday. Other details on the rumored processor, including clock speed or graphics processing capabilities, were not presented. Last year's iPhone 4S features a custom dual-core processor clocked at 800 megahertz, dubbed by Apple the "A5." That chip was first introduced months earlier in the iPad 2, where it ran slightly faster at 1 gigahertz thanks to a larger form factor with a bigger battery. With the third-generation iPad launched this year, Apple didn't unveil a true next-generation chip, choosing instead to name the processor the "A5X," suggesting an evolutionary upgrade over its predecessor. That CPU is based around Samsung's 45-nanometer low-power architecture, also found in the A5 CPU in the iPhone 4S and iPad 2. The main change with the A5X was an updated integrated graphics processor. While the CPU remained dual core, the GPU was upgraded to quad core in order to push the 3.1 million pixels found on the tablet's high-resolution Retina display. 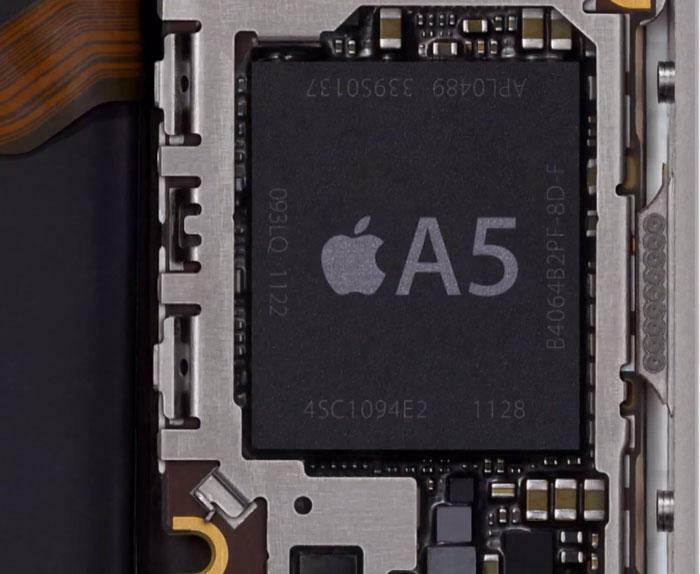 If Apple does build a quad-core ARM CPU for its next iPhone, the upgrade could presumably be significant enough to earn the chip the "A6" distinction. DigiTimes said Apple's expected introduction of a quad-core iPhone will help "heat up" competition with other quad-core smartphones. Samsung, HTC, LG and Meizu all launched quad-core smartphones in the second quarter of 2012, most notably Samsung's Galaxy S III, the latest flagship handset for Google's Android mobile operating system. However, the quad-core Galaxy S III has thus far only been available in international markets, while the 4G LTE-capable model released in the U.S. features a dual-core Snapdragon S4 processor. Next week, Samsung will launch a quad-core LTE Galaxy S III, but only in Korea. More quad-core smartphones are expected to be introduced in the second half of 2012, thanks to volume production of chips from Qualcomm.